WASHINGTON – President Donald Trump and his allies are waging their most aggressive effort yet to help Senate GOP leaders pass an expansive health-care bill next week, but the endeavor encountered new resistance Friday when a fifth Republican senator said he does not support the bill as is. Sen. Dean Heller, R-Nev., announced that he could not vote for the legislation without revisions, singling out the measure's long-term spending cuts to Medicaid as the reason for his opposition. The announcement caught some Republicans in Senate Majority Leader Mitch McConnell's orbit by surprise. It also prompted a Republican super PAC to plan a seven-figure advertising campaign in Nevada to pressure Heller – raising the specter of an ugly intraparty fight that could serve as a harbinger of the political clashes to come during next year's midterm elections. As the vote-counting effort intensifies, Trump, who has said he supports the bill but it needs more "negotiation," is trying to build consensus both in public and behind the scenes. On Thursday, he telephoned Sen. Ted Cruz, R-Texas, one of the five GOP holdouts, to speak with him about his proposed changes, according to White House officials and a Trump ally with knowledge of the conversation. McConnell is now scrambling to save a bill that aims to repeal and replace major parts of the Affordable Care Act, also known as Obamacare. He released it Thursday morning after writing it in secret for weeks with a small group of aides. After keeping the White House at a distance during the bill's crafting, McConnell is suddenly more dependent on Trump – mainly to apply political pressure on skeptical conservatives. At the same time, McConnell is seeking a separate way of winning wary GOP moderates over whom Trump holds little political influence, such as Sens. Susan Collins, R-Maine, and Lisa Murkowski, R-Alaska, who oppose the bill's blockage of federal funding to Planned Parenthood, among other details. "He's looking at how to bridge a gap that seems to be insurmountable and try to find a way to get this," said Sen. Patrick Toomey, R-Pa., a defender of the bill, said in a Friday interview. McConnell is hoping to bring the bill to a vote next week, after it receives a score from the nonpartisan Congressional Budget Office. The CBO will estimate how many people could lose coverage under the plan and what impact it would have on insurance premiums and federal budget deficit. But he can afford to lose only two votes from the pool of 50 GOP senators, with all Democrats united against it and Vice President Mike Pence ready to break a 50-50 tie. "It's that very, very narrow path," Trump said in an interview with Fox News Channel broadcast Friday. "But I think we're going to get there." The White House's strategy is to continue to let McConnell take the lead. Trump is involved only as an encourager, as he was with Cruz on the Thursday call. He is not offering or cutting deals, those familiar with the situation said. Pence is also playing a supporting role. He has hosted meetings with individual senators to discuss their concerns with the overhaul. 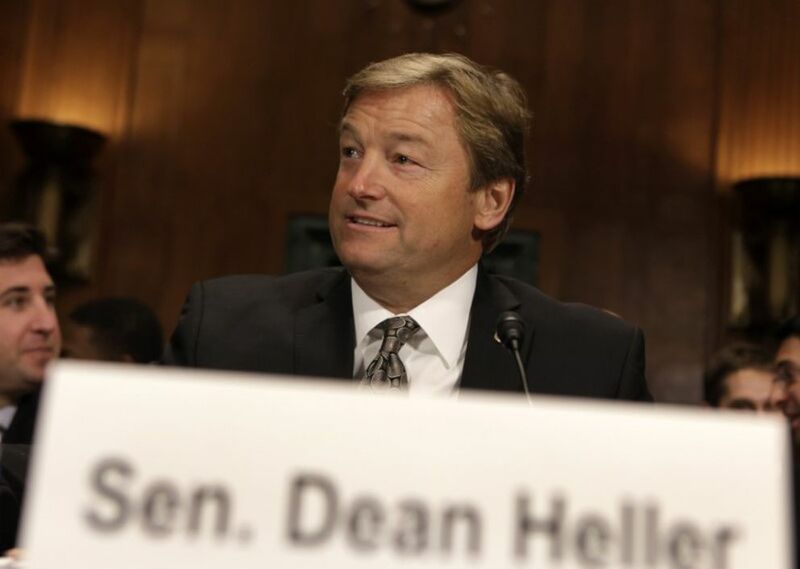 Heller is seen as a bellwether for how the bill is perceived across the country. 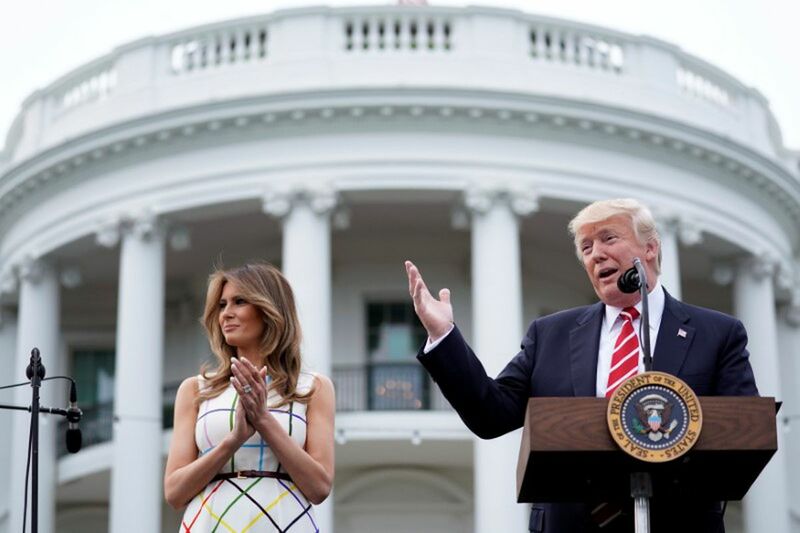 He is facing reelection next year in swing state where Hillary Clinton defeated Trump but where there is also an active Republican base, which turned out overwhelmingly for Trump during the battle for the GOP nomination. Nevada is among 31 states and the District of Columbia that expanded Medicaid under the ACA. "I cannot support a piece of legislation that takes away insurance from tens of millions of Americans and hundreds of thousands of Nevadans," Heller said in a news conference in his home state Friday, where he was joined by Republican Gov. Brian Sandoval. Heller said he is particularly worried about making sure that states that expanded Medicaid under the ACA can continue to provide insurance to low-income Americans. He said the current bill would cap Medicaid payments at a growth rate that won't keep up with the true cost of medical care and could force states to spend hundreds of millions of dollars each year to keep people insured. Heller said he was open to voting for the legislation – but only if leaders agree to changes before a procedural vote scheduled for Tuesday. The changes he is seeking, particularly his call for higher growth rates, could alienate conservatives and threaten the delicate balance McConnell is still trying to strike. Soon after Heller announced his opposition, Katie Walsh, Trump's former deputy chief of staff, confirmed that the super PAC she now advises – America First Policies – is planning a "seven figure" advertising buy in Nevada targeting Heller. If more GOP senators come out against the bill, they could be targeted in the coming days as well, she said. Multiple Republicans familiar with the Senate GOP leadership's strategy, who spoke on condition of anonymity to describe private deliberations, said there is a particular focus in winning over two of the four GOP senators who issued the joint statement of disapproval on Thursday: Cruz and Sen. Ron Johnson, R-Wis. The other two, Sens. Mike Lee, R-Utah, and Rand Paul, R-Ky., are seen by leadership as likelier to vote no. One of the Republicans argued that Trump holds political sway over Cruz and Johnson. The former is up for reelection in 2018 in is hoping to avoid a serious primary challenge; the latter unexpectedly won a second term thanks to Trump's strong showing in Wisconsin. The phone conversation between Cruz and Trump was described by the White House officials and Trump ally as substantive and encouraging. It was about hearing each side out and getting a better sense of where things stand, they said. A Cruz spokeswoman declined to comment on the call. Cruz is pushing for the elimination of more Obamacare regulations and wants to allow people to buy insurance plans across state lines, among other things. He said Thursday that he believes "there is an agreement to be reached." Speaking of Cruz, Lee, Paul and Johnson, Trump said on Fox News: "It's not that they're opposed. They'd like to get certain changes." The White House sees Johnson as a likely ally on tax reform and they want to work with him on that. They view his concerns on this bill as more about taxes than health care. Johnson and McConnell have not always enjoyed a warm working relationship, according to several GOP aides familiar with their relationship who were granted anonymity to speak candidly. Johnson was frustrated after McConnell and his allies nearly wrote off his chances of winning reelection in 2016 and canceled plans for spending in the last months of the campaign. In the months since, Johnson has agitated for a bigger role in Senate GOP circles, particularly on health care. Many of Johnson's complaints about the draft bill have been about McConnell's secretive process rather than the substance of the policies. He complained about the "speed of the process and the lack of information" on Thursday. Some in GOP leadership believe he can be swayed through careful lobbying, including by a fellow Wisconsinite: House Speaker Paul Ryan. Ryan's chamber passed its own bill and is invested in trying to get a bill to Trump's desk. The speaker supported Johnson throughout his campaign with donations, including money for the state party, and by joining Johnson on a four-day bus tour of Wisconsin that included a rally with Pence. Ryan spokeswoman AshLee Strong said Ryan and Johnson are in frequent contact about issues that affect Wisconsin and "it would be surprising if they didn't talk about Obamacare repeal and replace." McConnell is operating on the understanding that Collins and Murkowski are less prone to being swayed by pressure from Trump or other national political figures. They have cultivated reputations as independent senators willing to buck the national party in favor of the interests of their home states. So, McConnell will have to find a way to make the substance of the bill more appealing to them to win their votes. Collins is among the moderates who might join Heller in rejecting the bill over cuts to Medicaid. She has said she is waiting to see the CBO estimate of many people stand to lose coverage and how premiums would be impacted by the Senate bill. As for the Planned Parenthood provision, Collins said she expects that she and Murkowski will push an amendment to strike it if it is not removed before the bill hits the Senate floor. Some Republicans predict privately that McConnell has a better chance of winning over Murkowski than Collins. Murkowski has traditionally been more aligned with leadership's interests in her 14 years in the Senate. Her father was a senator, and in her early years in the chamber, McConnell helped advance her into a junior leadership post. Having just won her own reelection last year, Murkowski has more political freedom to maneuver than Collins, who is up for reelection in 2020 and has flirted with running for governor. Collins has spent more than 20 years forging a singular brand of political standing, emulating her political idol, Margaret Chase Smith, the Republican senator who was one of Joe McCarthy's sharpest critics in the early 1950s. The two Republicans have become close allies. When they band together, they are a force to be reckoned with – and McConnell has learned that lesson the hard way. In early 2014, when Republicans just expected the two moderate women in their caucus to join Democrats and pass a debt ceiling lift, they refused because they were tired of being taken for granted. The vote remained open for an extra 45 minutes, just shy of the votes needed, until McConnell relented and his entire leadership team joined the two women in casting the politically tough vote. Now, the question is whether more senators will join those who oppose the bill in its current form. Each new senator who chooses to do what Heller did on Friday makes the overall task before McConnell and Trump that much harder. "Certainly it complicated things," said Toomey. The Washington Post's Ashley Parker and Paul Kane contributed to this report.